La adolescencia es una fase del desarrollo caracterizada por numerosos cambios comportamentales y neurobiológicos. Durante esta etapa también se da, usualmente, el inicio y escalada en el consumo de alcohol y de otras sustancias psicoactivas. De hecho, la prevalencia de los trastornos de abuso y dependencia al alcohol es mayor en la adolescencia tardía y adultez temprana que en cualquier otra etapa del desarrollo. Este trabajo de investigación está dirigido al estudio de los mecanismos subyacentes a estos fenómenos. Un objetivo prioritario es tratar de discriminar entre aquellos adolescentes que progresarán hacia el consumo problemático de alcohol de aquellos que, aun exhibiendo similares niveles iniciales de consumo de la droga, mantendrán un consumo controlado. 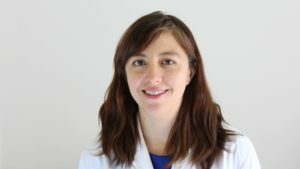 Entre otras estrategias, analizamos factores de vulnerabilidad (estrés, inicio precoz de consumo de alcohol, etc) y endofenotipos (mediadores biológicos o comportamentales entre riesgo genético y expresión de trastornos) que facilitan estas trayectorias. 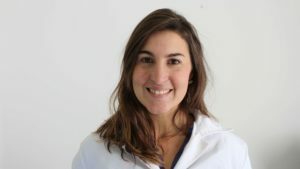 El conocimiento de estos mecanismos picobiológicos es luego usado para el diseño de intervenciones farmacológicas o ambientales. 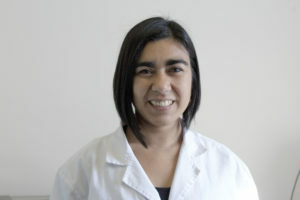 Estudiante de Doctorado Ciencias Biológicas, UNC. Estudiante de Lic. En Psicología, UNC. PICT FONCyT, PIP CONICET, SECyT-UNC. Caneto F., Pautassi R.M., Pilatti A. (2018). Ethanol-induced autonomic responses and risk taking increase in young adults with a positive family history of alcohol problems. Addictive Behaviors 76,174-181. Pautassi RM, Suarez A, Rueda V, Camarini R. (2017). Effects of environmental enrichment upon ethanol-induced conditioned place preference and pre-frontal BDNF levels in adolescent and adult mice. Scientific Reports 7: 8574. Pilatti A, Read JP, Pautassi RM (2017). ELSA 2016 cohort: Alcohol, tobacco, and marijuana use and their association with age of drug use onset, risk perception, and social norms in Argentinean college freshmen. Frontiers in Psychology. doi: 10.3389/fpsyg.2017.01452. Fernandez M., Baez B., Bordon A., Fernandez L., Martinez E., Pautassi R.M. (2017). Short-term selection for high and low ethanol intake yields differential sensitivity to ethanol’s motivational effects and anxiety-like responses in adolescent Wistar rats. Progress in Neuropsychopharmacology & Biological Psychiatry 27, (79), pp. 220-233. Wille-Bille, A., Ferreyra A, Sciangula M, Chiner F, Nizhnikov ME and Pautassi RM (2017). Restraint stress enhances alcohol intake in adolescent female rats but reduces alcohol intake in adolescent male and adult female rats. Behavioural Brain Research 332, pp. 269-279. Gano G, Pautassi RM, Doremus-Fitzwater TL, Deak T (2017) Conditioned effects of ethanol on the immune system. Experimental Biology and Medicine 242: 718-730. Wille-Bille A., De Olmos S., Marengo L., Chiner F., Pautassi RM (2017) Long-term ethanol self-administration induces Delta-Fos B in male and female adolescent, but not in adult, Wistar rats. Progress in Neuropsychopharmacology & Biological Psychiatry 74, 6, pp.15–30. Pautassi, Ricardo, Haymal, B., Miranda-Morales RS. (2016) Effects of ethanol exposure in a familiar or isolated context during infancy on ethanol intake during adolescence. Developmental Psychobiology 58, 968-979. Camarini R., Pautassi RM. (2016) Behavioral sensitization to ethanol: neural basis and factors influencing its acquisition and expression. Brain Research Bulletin 125, 53-78. Fernandez MS, MC Fabio, RS Miranda-Morales, MB Virgolini, LN De Giovanni, C Hansen, A Wille-Bille, ME Nizhnikov, LP Spear & Ricardo Marcos Pautassi. (2016). Age-related effects of chronic restraint stress on ethanol drinking, ethanol-induced sedation, and on basal and stress-induced anxiety response. Alcohol 51:89-100. Miranda-Morales RS; Pautassi RM. (2016). Pharmacological characterization of the nociceptin/orphanin FQ receptor on ethanol-mediated motivational effects in infant and adolescent rats. Behavioural Brain Research 298:88-96. Justel N, Psyrdellis M., Pautassi RM, Mustaca A. (2016) Cholinergic transmission underlies modulation of frustration by open field exposure. Pharmacology, Biochemistry and Behavior 140, 8-16. Pautassi, Ricardo; Godoy J.C., Molina, J.C. (2015) Adolescent, unlike adult, rats are resistant to the development of ethanol-induced chronic tolerance and ethanol-induced conditioned aversion. Pharmacology, Biochemistry and Behavior 138, 58-69. Fabio MC; Maccione AF, Nizhnikov ME; Pautassi RM. (2015). Prenatal ethanol increases ethanol intake throughout adolescence, alters ethanol-mediated aversive learning, and affects μ but not δ or κ opioid receptor mRNA expression. European Journal of Neuroscience 41:1569-79. MC Fabio; AF Vivas LM; RM Pautassi (2015). Prenatal ethanol exposure alters ethanol-induced fos inmunoreactivity and dopaminergic activity in the mesocorticolimbic pathway of the adolescent brain. Neuroscience 301, 221-234. Pautassi RM., Miranda-Morales S, Nizhnikov ME (2015) Operant Self-Administration of Ethanol in Infant Rats. Physiology and Behavior 148, 87-99. Fabio MC, Nizhnikov ME, Spear NE, Pautassi RM. (2014). Binge ethanol intoxication heightens subsequent ethanol intake in adolescent, but not adult, rats. Developmental Psychobiology 56(3), 574-583. Acevedo MB, Michael Nizhnikov, Molina JC, Ricardo Pautassi (2014). Relationship between ethanol-induced activity and anxiolysis in the open field, elevated plus maze, light-dark box, and ethanol intake in adolescent rats. Behav Brain Research 265,203-15. Pilatti, A, Caneto F, Garimaldi J, Vera B, Pautassi RM (2014). Contribution of time of drinking onset and family history of alcohol problems in alcohol and drug use behaviors in Argentinean college students. Alcohol and Alcoholism 49(2):128-37. Fernandez M, Fabio C, Nizhnikov ME, Spear NE, Abate P, Pautassi RM. (2014). Maternal isolation during the first two postnatal weeks affects novelty-induced responses and sensitivity to ethanol-induced locomotor activity during infancy. Developmental Psychobiology 56, 1070-1082. Pilatti A, Brussino S, Godoy JC, Pautassi RM. (2013) Patterns of substance use among Argentinean adolescents and analysis of the effect of age at first alcohol use on substance use behaviors. Addictive Behaviors 38, 2847-2850. Acevedo MB, Nizhnikov ME, Spear NE, Molina JC, Pautassi RM. (2013). Ethanol-induced locomotor activity in adolescent rats and the relationship with ethanol-induced conditioned place preference and conditioned taste aversion. Developmental Psychobiology 55, 429-442. Acevedo MB, Pautassi RM, Spear NE, Spear LP (2013). Age-dependent effects of ethanol and stress on acute motor activity in rats. Psychopharmacology 230 (3), 389-398. Pilatti A; Godoy JC; Brussino SA; Pautassi RM. (2013) Underage drinking: prevalence and risk factors associated to drinking experiences among Argentinean children. Alcohol 47, 323-331. Fabio MC, March SM, Molina JC, Nizhnikov ME, Spear NE, Pautassi RM (2013). Prenatal ethanol exposure increases ethanol intake and reduces c-fos expression in infralimbic cortex of adolescent inbred wistar rats. Pharmacology, Biochemistry and Behavior 103, 842-852.